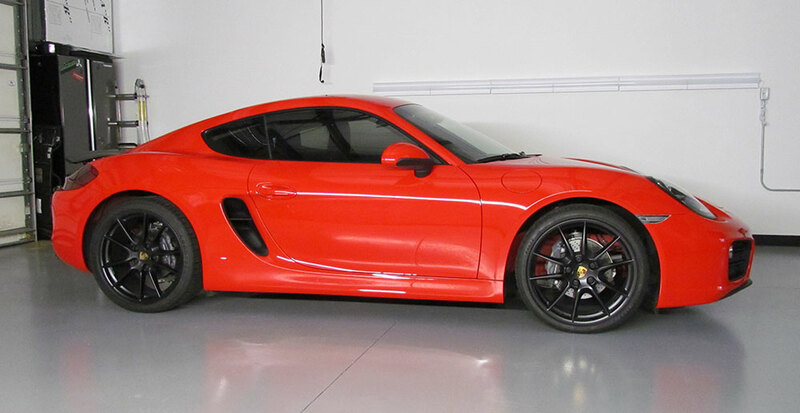 Custom Tint, Inc. provides luxury automotive protection film services in the town of Apex, NC. Our services include 3M Window Tinting and Clear Bra Paint Protection, ClearPlex Windshield Protection, Design/ Print/ Installation of Vehicle Wraps, and Automotive Restyling. We specialize in imports and exotics, however, we do work on the everyday drivers, as well. Custom Tint, Inc. strives to serve each and every one of our clients with integrity, a positive attitude and absolute professionalism that exceeds our client’s expectations. Custom Tint, Inc. is your source in the triangle for your automotive protection film needs! We are protection film specialists offering 3M automotive window tinting, 3M paint protection film, and vehicle wraps/ graphics/ restyling. Our goal at Custom Tint, Inc. is to exceed the expectations of our customers. Not only with our commitment to the level of quality in our products and services, but with our ability to communicate and understand our clients automotive film needs. As the owners and installers, with over 20 years combined experience, we take pride in our skill and knowledge of the automotive film industry. Our products include 3M Window Films and 3M Pro Series Paint Protection. In addition to our product line-up, we offer design/ print/ installation services for Vehicle Wraps and Graphics. We also use the best performing wrap vinyls on the market for automotive personalization and restyling. Your vehicle is not only one of your biggest investments, but it’s a source of pride and extension of your personality. Allow Custom Tint, Inc. to help you give your vehicle that extra touch that sets you apart from the others. Come see us to checkout our products at our storefront location in Apex, NC.